Crosby Stills Nash in Montreal or Quebec City? Inform me about the next events for Crosby Stills Nash. Enroll yourself to our priority waiting list for Crosby Stills Nash to be alerted when new tickets are available. Filling this form doesn't engage you to any purchase. Crosby, Stills & Nash, the legendary American folk-rock trio from the 60s will be performing on July 22nd, 2008 at the Salle Wilfrid-Pelletier at Place des Arts. This show is part of the “Three Together” tour. 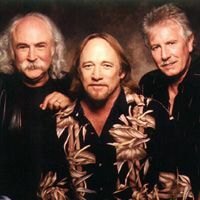 The three members of the group, David Crosby, Stephens Stills and Graham Nash will be kicking-off the North American tour, set for 40 concert dates, on May 31st, 2008. The group last toured in 2005.